When getting ready for date night or volunteering at school, an outfit is complete with cute accessories. From a great earring to a fashionable ring, the little items make a statement. The key is variety of options to fit the moment and mood. A leather charm bracelet, like the one above, is a great versatile item. Whether worn together or separate, the charm bracelet offers many options. 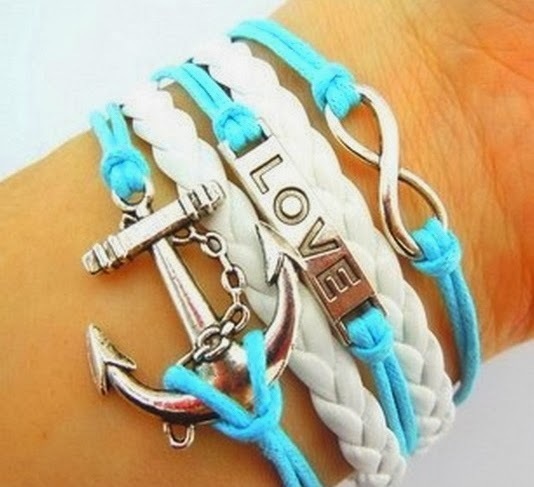 Coordinate the bracelet color with your top. Or, where a color that contrasts what you are wearing. Many of these bracelets offer fun charms that reflect your interests, personality or just look pretty. These bracelets make an outfit full of personality and set yourself out from the crowd. What will you be wearing this Spring?